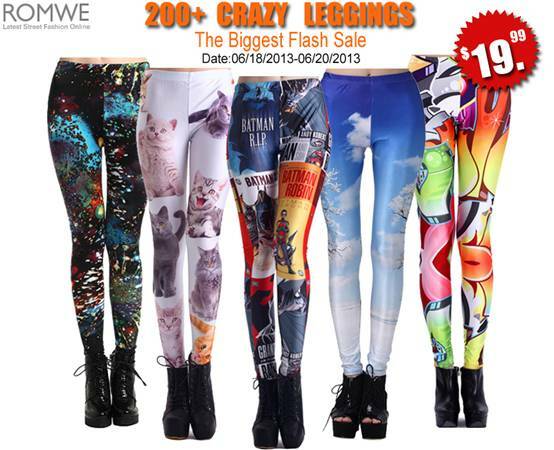 flash sale on 200 crazy leggings. Flash sale always makes people excited, everyone loves it J Hurry, hurry & hurry! Hooray! Thanks for sharing! Definitely going to have to check this one out! Crazy leggings are actually really versatile which is good!